A-Best Roofing has been installing roofs on Tulsa homes for over 34 years. 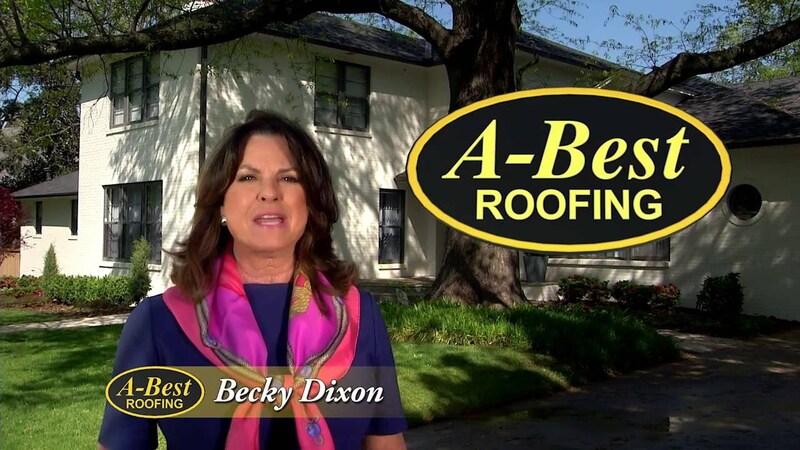 Tulsa residents count on A-Best Roofing for high quality workmanship, top products and exceptional service on all roof repairs and roof replacements. We can install any roofs from shingles, metal, slate and tile and we even have our own cooper shop. Only expect the best from A-Best Roofing. Call for a free estimate. One of our friendly professionals will be glad to assist you. Read More About Us Below! A-Best Roofing started with Jim Lane’s dream of being exceptional. In 1988, Jim started the roofing company in Tulsa, OK and the surrounding areawith the intention of taking a completely new approach. He believed customers deserved access to superior contractors with a high level of integrity and dedication. That meant helping clients make the best long-term decision for their homes and businesses, providing meaningful warranties and getting the job done right every time. Jim has always put the client first and has instilled the same level of excellence in his team. From our unbeatable warranties to our highly trained team of professionals, we are dedicated to giving you peace of mind. You can expect the best from our company. We stand behind our work and materials. Our installation crews are meticulous and will help you choose the best solutions for your residential or commercial project. We’ve provided the Tulsa, Broken Arrow and Miami area with superior services for over 20 years and we look forward to the years to come. From day one, Jim understood that investing in his roofing professionals would allow his company to provide quality workmanship. As far as Jim is concerned, investing in his employees is the only way to ensure that his clients will truly get the best craftsmanship available. If you want to work with an excellent roofer in Broken Arrow, OK or Miami, OK, give us a call at (918) 340-6600 or fill out our convenient online form. Our professionals will be happy to answer any questions you have! Our roofing job by another company approximately 6 months ago was problematic from the onset. The new roof installation by A-Best was professional from start to finish. Thank you Gene and Ben. We were VERY impressed with the speed and quality of the job! Everyone did what they said they would do and in the amount of time they said they would do it. GOOD JOB! Fast and great communication. Will use A-Best on my rentals. Better than excellent. Fantastic job, service and execution. The salesman, was on time, quick, and informative, appreciate the low pressure sales approach. Thank you! Your company was a dream to work with. Both "Bens" were pleasant, informative, articulate, and helpful. I enjoyed working with both of them. Meet the team the team at A-Best Roofing and hear why they are the best choice for your next residential or commercial roofing project.